The world's most popular telescope to observe the Sun. 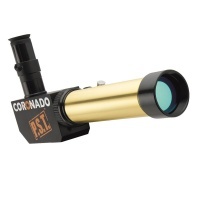 Open up a whole new world of astronomy with the Coronado PST 0.5 Angstrom. The incredible Coronado SolarMax 90 series telescopes are the largest H-alpha (H×ñ) telescope ever to be mass-produced and are now available with the patented RichView tuning system. This double stacked unit excels at observation of solar surface detail with a 0.5 angstrom bandpass. Increase surface detail and active regions on the Solar disc. 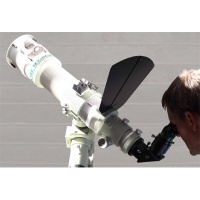 A must have accessory for all solar observing and imaging.